1. 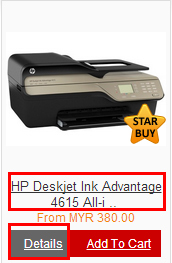 Firstly, Click on "All Products" menu to browse all products available in the store. 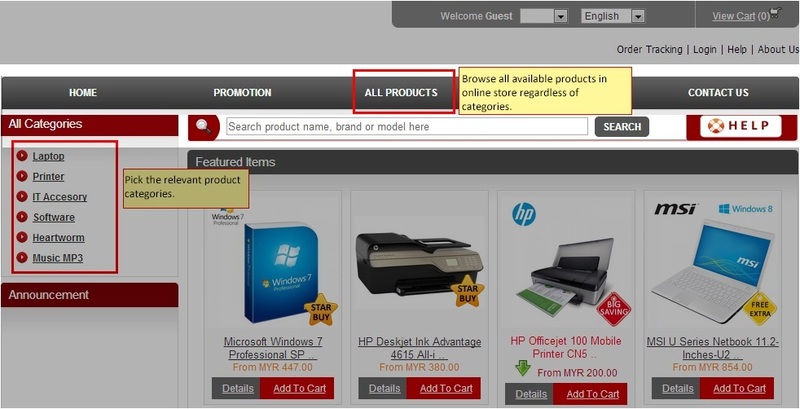 You may view only product in the selected category by selecting any product category on the left. If you know the product name, use the search box so that the system could help you to lookup for the item you're looking for. 2. To view the product details, click on product name or "Details" link. 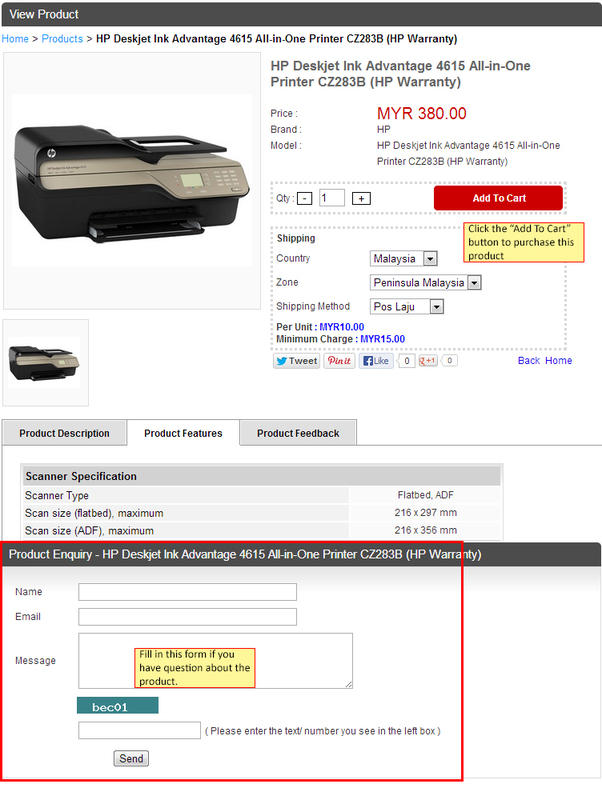 3.In the product page, you may get more info about the product that you have selected. Information such as product description, features, and feedback by other customers (if any). 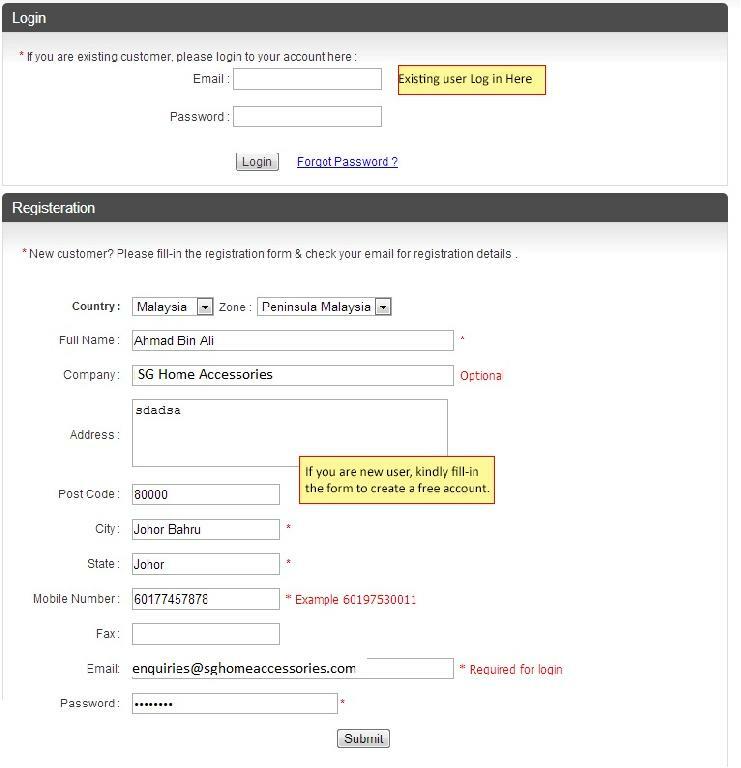 If you have any question about the product before purchasing, you may fill-in the product enquiry form. To order the product, select the quantity and other options (color, size, etc - if relevant), and click "Add to cart" button. 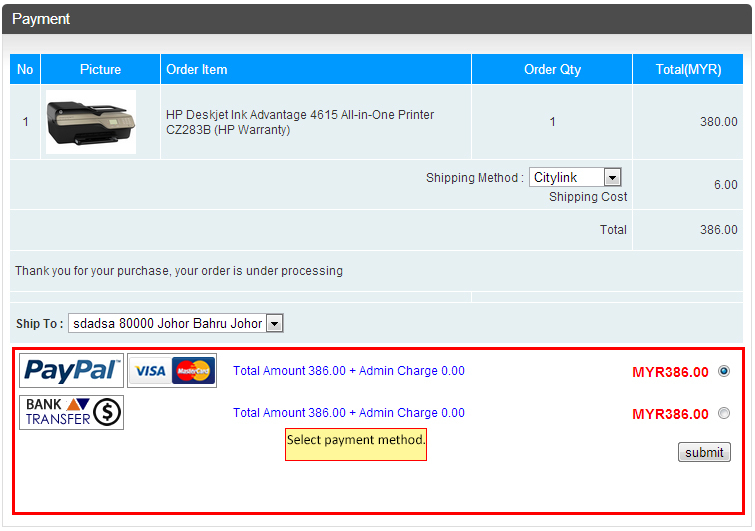 4.View the summary of your order, make sure the item and price is correct. You can continue shopping by browsing another products or in the store or checkout and pay for the selected products. 5. You will be required to login to the system to complete your purchase. If you are new user, kindly fill-in the form to register a free account. 6. Next, your preferred payment methods and hit submit button. If you select Paypal or credit card option (MOLPay/Ipay88), you will be redirected to the payment gateway page to fill-in your card details. If you choose to pay by bank transfer, the banking info will be shown in the next screen. Please note that you will need to complete the payment before the goods are shipped. 7. Congratulations! we will process your order and arrange for shipment. (Note: if you choose Bank Transfer payment method, please make payment and notify us once it's done). 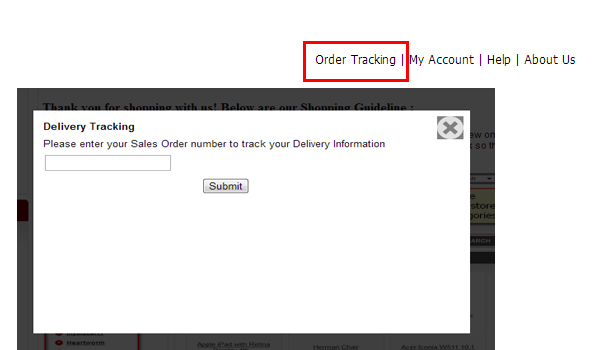 You will may track your order processing status using the Order Tracking link. Enter your Sales Order number in the textbox. Contact us if you have any questions.